At Archadeck of Central GA, any day we get to make a veteran’s life easier is a good day. This client, a North Macon, GA, veteran, had been referred to another contractor in the area based on the VA’s list of approved contractors. However, the client wasn’t comfortable with the approved contractor and didn’t feel like he was right for the job. 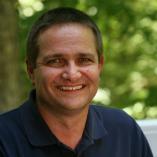 The client contacted Archadeck of Central GA. Working with the VA, we were able to be added to the list of VA-approved contractors, and the veteran hired us to do the work. The project was a multi-faceted outdoor living space that included redecking, replacing a railing and adding a ramp, a covered porch and a concrete patio. We also upgraded the existing second-story screened porch with new wrapped posts and a new edge band around the base of the porch. For the redecking, we replaced the wooden deck boards with low-maintenance composite decking from TimberTech. 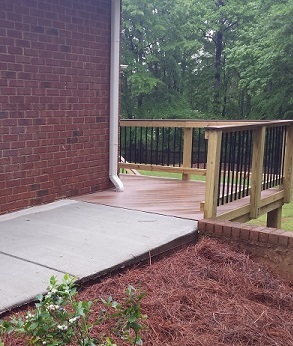 Specifically, the homeowner selected the TimberTech Terrain decking boards in brown oak. 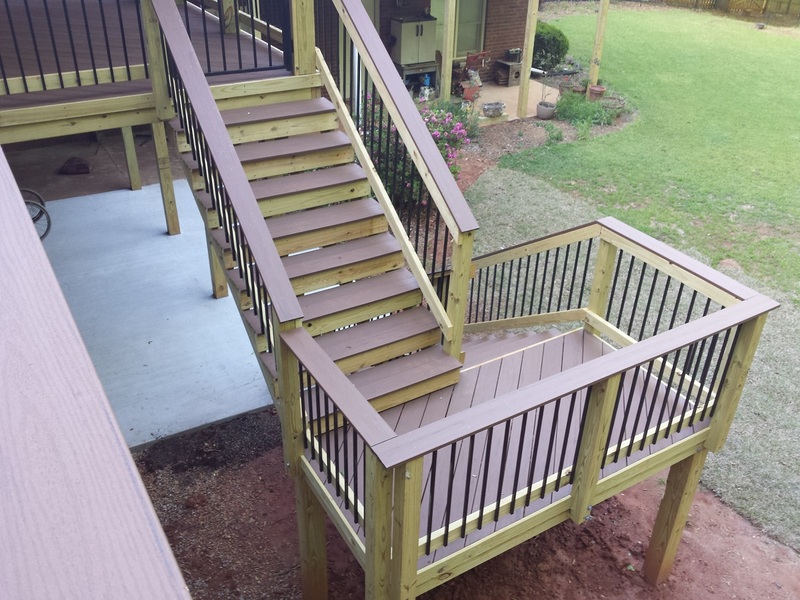 For the railing, we used square Fortress iron balusters in black with a TimberTech Terrain rail cap. The gates are built with the same black Fortress iron balusters to match. We added a hip roof over one section of the deck, making it a large covered porch. This required a roof tie-in to match the existing roof. 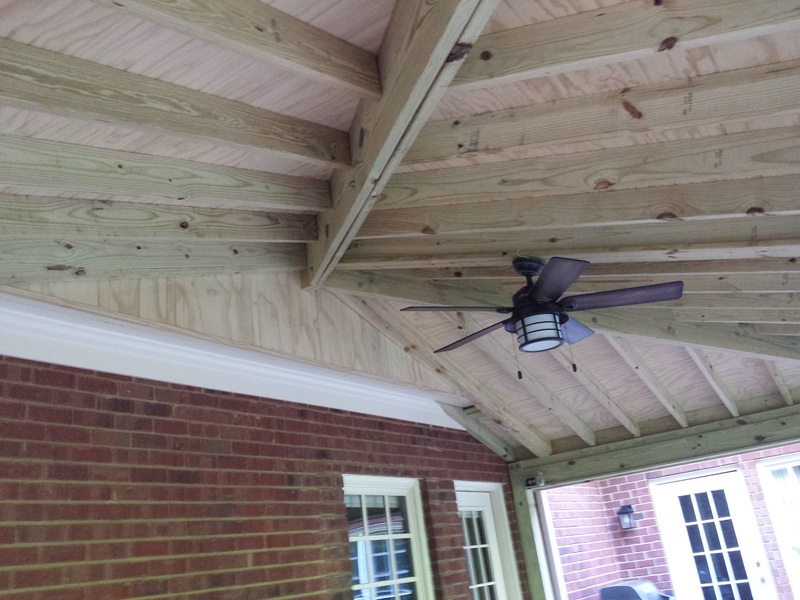 We constructed the covered porch ceiling with an open-rafter design and added a ceiling fan. Beneath the new covered porch, we added a concrete patio and dry storage area. 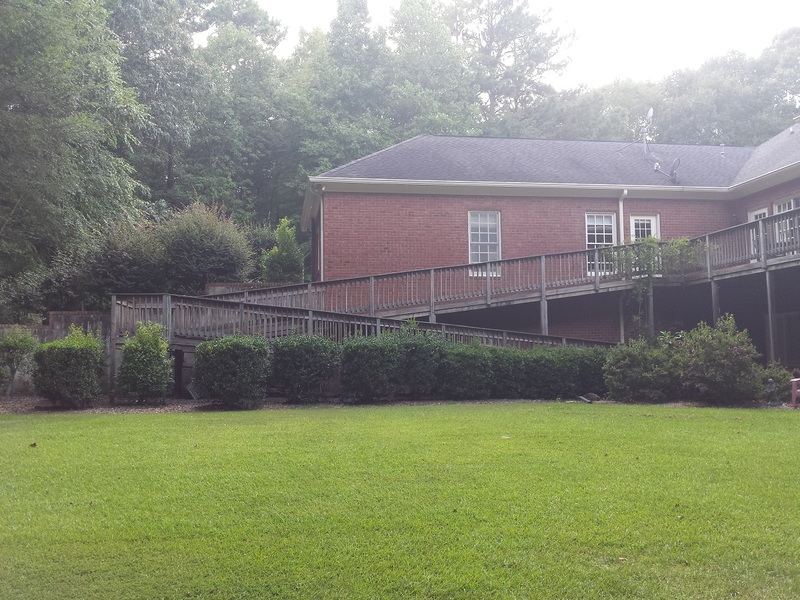 The homeowner can access the second-story deck from inside the home or by using the concrete ramp from the driveway. He can access the patio from the basement, which he gets to by elevator. — Before Archadeck of Central GA started the project. During the project, we noticed the homeowner had a soft back yard that probably needed re-grading. The gutters drain into the back yard, and since the septic tank was also located there, re-grading wasn’t an option. To alleviate the drainage issues before we poured concrete for patio, we installed four new gutters into a pipe for runoff and laid sod over the top. For drain lines we used rigid green PVC drainage pipe instead of corrugated drain lines in case leaves and debris plug the line and need to be cleaned out. Not only does this project add beauty and function to the home, it also gives the homeowner freedom—and more outdoor living space to enjoy. — Open porch ceiling details. 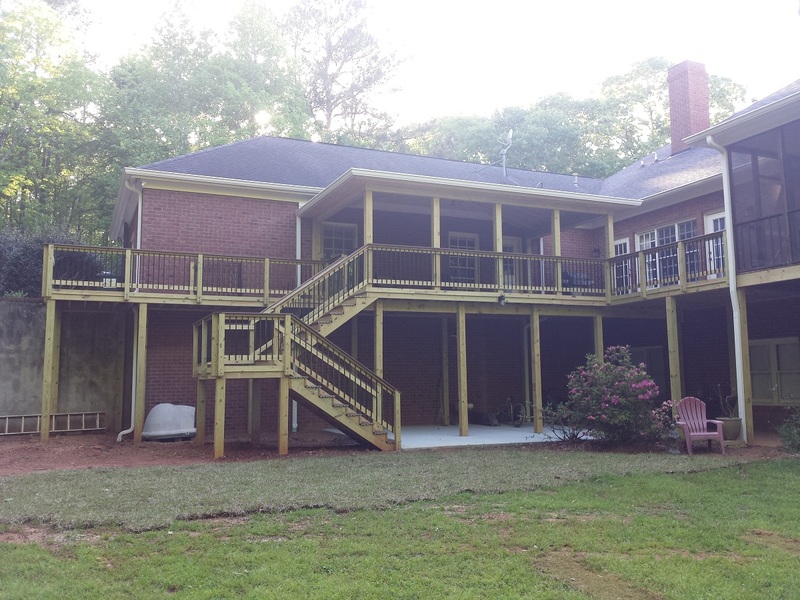 Archadeck of Central GA supports and honors all veterans and active duty military, and we were thrilled to work on this project to expand and improve our client’s outdoor living space. Now that we’re on the list of VA-approved contractors, we hope to work with more veterans in the future. 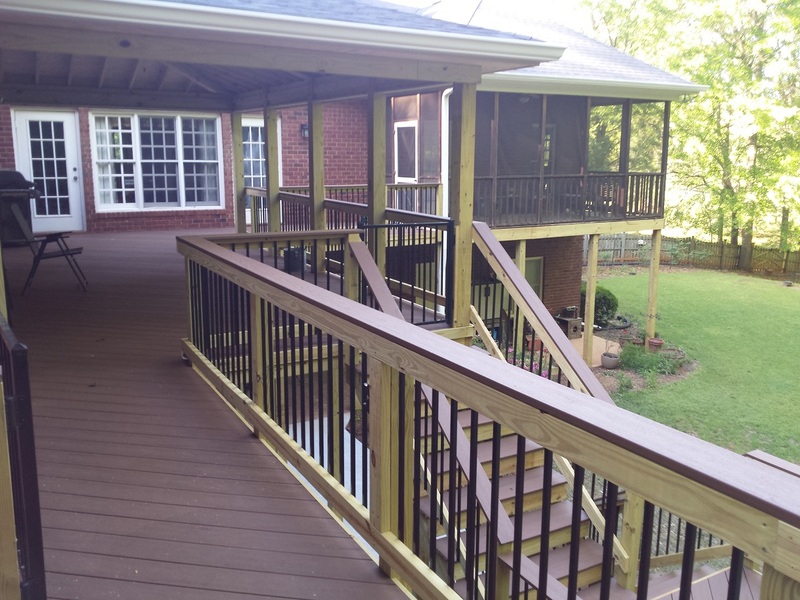 If you are ready for a new deck, porch, patio or ramp, or a combination of structures, contact Archadeck of Central Georgia. You can reach us by phone at (478) 745 – 2000 or via email at [email protected].